In the mining world, downtime is one of the biggest headaches. The more time you spend dealing with performance issues and difficult conditions, the less time you spend producing, and the more money you lose. Efficiency is crucial to profitable operations. 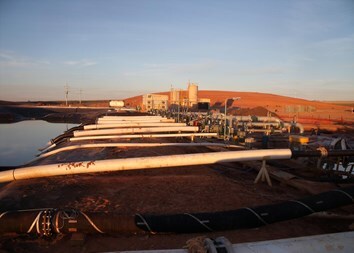 Pioneer Pump keeps you up and running with the highest performing mining pump product line available. Our comprehensive line includes centrifugal mining pumps for high-flow / high-pressure dewatering, and process applications. Pioneer Prime offers high flow of up to 44,000 (10000 m3/h) and heads to 700+ feet (210 m) with vacuum-assisted dry priming and run-dry capability, providing the highest outputs of any company in the self-priming pump market. Our superior PosiValve™ sealing and priming system runs dry indefinitely, and prevents leakage and carryover while offering unparalleled reliability. Fully contained pumpset packages, including 110 percent containment with noise levels as low as 60 dB(A), meet noise and containment regulations. Pioneer high-pressure pumps are available in a variety of mounting configurations. Heavy-duty ductile iron body construction (with other metallurgies available) and stainless steel impellers ensure a long mining pump life. Heavy-duty, high-efficiency pumps with large impeller eye areas provide some of the lowest NPSHr in the mining pump industry.